Everyone knew this was coming. Another year, another Call of Duty. 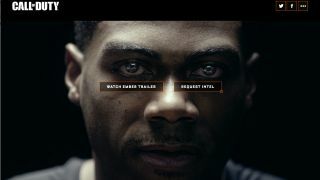 Activision today released a 3-minute live-action teaser trailer of the next game in the explosion-filled franchise coming from, we assume, developer Treyarch. The vignette shows us how technology - particularly cybernetics - impacts the human experience, starting off in a positive way with prosthetic limbs and neurally linked hearing aids, and ending with bio-mechanical super soldiers. In an almost Deus Ex way, Black Ops III is pawing at some of the biggest issues with technology. Do our electronics enhance our lives, or do they control it? At what point does modern medicine stop and robotics begin? In any event, whatever we think about the game right now is only a small piece of the overall picture as the trailer ends with the words "world reveal" and the date April 26, 2015. Need a next-gen console to play the next Call of Duty? Check out our PS4 and Xbox One reviews!